In the first part of this article, we focused our attention on physically demanding nautical activities designed to make your team think and work as one. Let us look, in this second portion, at relaxing activities that soothe their tired minds and bodies. While some colleagues soak in the sun from the comfort of their beach chairs, others might prefer to discover Mont-Tremblant’s National Park and Wildlife Reserve in a kayak. You can rent a boat from one of two locations: directly in the National Park or at the Beach & Tennis Club, where the Centre nautique Pierre Plouffe is located. While on the water, keep your eyes opened: you might get a glimpse of a chimney swift, one of the area’s endangered birds. 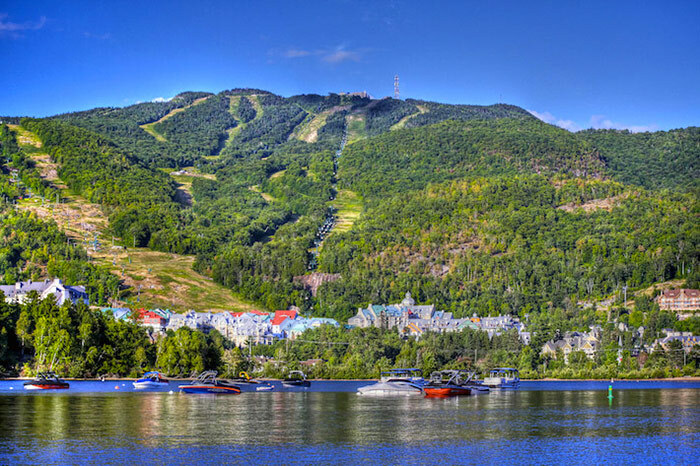 Those with unending energy reserves might want to take in the breathtaking Tremblant scenery from a paddleboard, an activity that seamlessly combines the benefits of physical exercise and mental relaxation. Is your team daring enough to brave the waves? If so, then try tubing. Hang on tightly while the boat pulls you at full speed over the water. Who can stay on the tube the longest? As part of their bonding, get your strongest team members to assist their colleagues getting back in the boat. Wrap up this incredible stay, filled with brainstorming, interactions and emotions, with a relaxing visit to the beach and a refreshing drink. 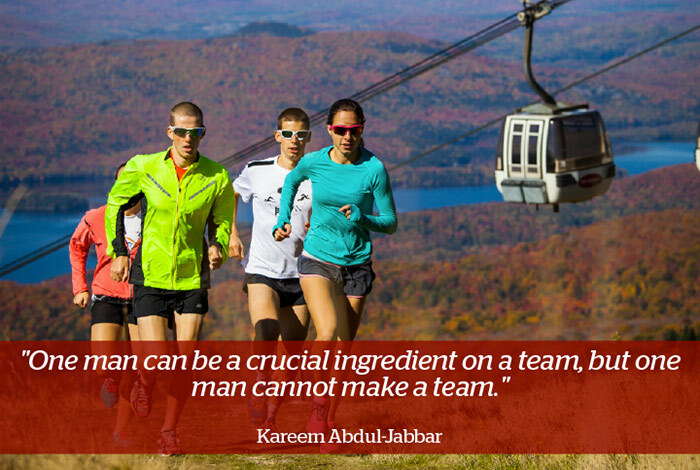 A chance to focus of your most precious asset: your team. Successful teambuilding events do not only reward employees for a few days every year. They are an integral part of your employer brand and important content generators for your HR department. In other words, they are a chance for you to firmly establish your business’ reputation in the market, retaining current employees and attracting the most talented ones to join your ranks. Need help with creating the perfect teambuilding event for your group? Do you know exactly what you want them to try? Either way, we can assist you in choosing the perfect activity for your group or business. Contact Josiane Martineau at jmartineau@avtremblant.com at anytime for assistance. Sous les étoiles : 5 conseils pour une nuit en plein air réussie !